The Rev. 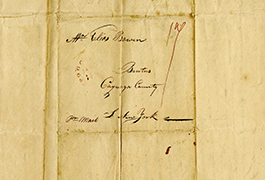 Elias Bowen, D.D., was born on June 16, 1791 in Warwick, Massachusetts, the son of John and Sarah Briggs Bowen. He joined the Methodist Episcopal Church in 1814. 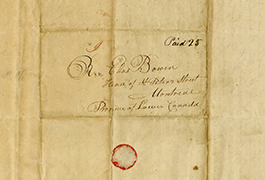 Shortly afterwards Bowen entered the ministry, serving in central New York state and a single year, 1818, in Lower Canada (Quebec). He married Abigail Birdseye in 1821. The couple had eleven children. At the time of his retirement in 1857, Bowen had served eighteen years in the itinerancy and twenty-four years as a Presiding Elder. During his ministry, Bowen was elected delegate to seven Methodist Episcopal Church General Conferences. He also served multiple terms as a Trustee of Cazenovia Seminary between 1824 and 1857. 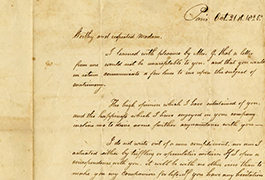 In August of 1846 Hamilton College conferred upon Rev. Bowen the honorary degree of Doctor of Divinity. 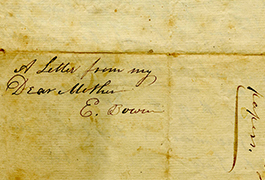 Bowen was a noted abolitionist among Methodists. He left the Methodist Episcopal Church in 1869 and joined the Free Methodist Church, believing that body to be more authentically Wesleyan. He died on October 25, 1870 at the age of 79. Abigail Bowen died in 1871. 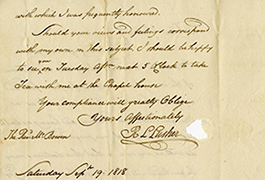 Bridwell Library’s collection of Elias and Abigail Bowen family papers comprises 166 letters, a sermon, and three additional documents relating to the Rev. Elias Bowen (1791–1870), his wife Abigail Birdseye Bowen, (1803–1871), and Rev. Bowen’s ministerial career in the Methodist Episcopal Church. 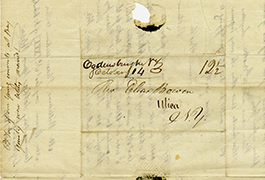 A finding aid to the Elias and Abigail Bowen Family Papers is available at Texas Archival Resources Online. For more information about these holdings, please contact Bridwell Library Special Collections.